An extraordinary op-ed headline caught my eye in the NZ Herald this morning. ’Oil and gas reserves can be part of low carbon future.’ Professor Basil Sharp, director of the University of Auckland Business School’s Energy Centre and Frank Duffield, an Honorary Fellow at the Centre, argue that continuing exploration for oil and gas reserves is entirely compatible with a low carbon future for New Zealand. Their starting point is that developing a low-carbon economy will take longer and cost more than many people realise and in the meantime we must ensure that we have continued access to the energy we need. This they claim is a reality which is ignored in debates about mineral resources and could mean that we miss out on significant development opportunities which could actually enhance our environmental credentials. On electricity generation they advance the well-worn argument that wind and hydro-power are not yet able to provide ’reliable, economic base-load supply’. Wind intermittency and drought are the reasons. Natural gas serves best in that capacity, but our existing gas reserves will last only a decade. Turning to transport they pronounce that like it or not we will remain dependent on oil for many years to come. But here too our reserves are limited and the global oil supply will be insecure and expensive. So what do we do? 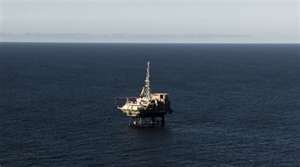 We go searching for more oil and gas and other mineral resources. With due care of course. They hold out the prospect of our becoming world leaders in deep water exploration. And the money we make from the mineral resources we find can be used to finance the development of renewable energy technologies where we already enjoy competitive advantages — geothermal, wind, biofuels. We might even be able to add carbon capture and storage to the list. The Energy Centre aspires, according to their website, to be widely regarded as the independent and balanced authority on New Zealand’s energy priorities and initiatives. I don’t wish to question the motives of the authors of this op-ed, but what they offer looks very much like existing government policy. Let’s fully exploit our fossil fuel resources and use the increased wealth that will bring us to help fund the transition to a low-carbon economy as the fossil fuels run out. It would no doubt make economic sense if there were no climate crisis. Perhaps the authors think there is no climate crisis. Perhaps they think that the dangers are exaggerated. They certainly didn’t mention climate change in the course of their article, though they did note with approval that natural gas delivers lower emissions than some of the alternatives, which presumably means they are to some extent aware of the issue. One wearies of challenging the assumptions reflected in the article. They are widespread and seemingly impervious in their blandness. But we must keep challenging them. This is not a time to be saying that changes can only be gradual and over an extended period. It’s certainly not a time to be complacent about continuing to exploit fossil fuels. If this is the best the Energy Centre can come up with for New Zealand’s energy priorities and initiatives, they are shielding themselves from some grim realities and consequently offering poor advice to business and government. Unfortunately it’s advice the government appears only too willing to heed.